Time “is the fire in which we burn” (Forest Fire). The aching awareness of our mortality, the relentless, incessant and seemingly quicker passing of the years forces the uncomfortable recognition that there is more behind us than lies ahead and precious little space remains for all the things we once dreamed and planned. 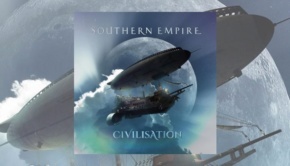 How we have lived, the bonds we form, the things we hold dear, the paths we have chosen and what is still possible in the time which is left forms the bedrock of this startlingly imaginative and creatively challenging inaugural release from Australian band Southern Empire. Formed by Sean Timms after the dissolution of Unitopia, there is an unflinching and quite brilliant lyrical poignancy which gently toys with – and mocks – how we cope with growing up, growing old, the things left undone and the things which can still be done. Amidst the nostalgic memories and fond regrets we are asked to consider what it is and who it is that matter most to us now. The lyrics form a complex cradle of troubled feelings and disconcerting resonances which both drive and colour the mood and atmosphere of the music. Danny Lopresto delivers a richly intense and powerfully emotional vocal performance which is at once commanding as well as being imbued with subtlety, nuance and tenderness. He has the rare ability to make you believe, whole-heartedly, what he sings, breathing life and passion into the narratives unfolding within each song. Melancholic reflections mix with wistful “what ifs”, disappointment and resentment segue to anger and despair before giving way to the possibility of hope, the belief in one more chance to make a difference, to try and somehow make things right before it is too late. Lyrical perceptiveness combined with the ability of the vocals to embody such a bewildering range of thoughts and feelings creates a remarkable and engrossing effect. The troubled complexity of the position in which we find ourselves is beautifully mirrored in the carefully crafted musical mosaics which comprise each track. No one song is the same as any other and each song itself is an exciting mixture and collage of changing parts. Three tracks weigh in at 7:32 (Forest Fire), 11:42 (Hold) and 11:27 (How Long) respectively whilst the epic Bridge That Binds consists of no less than 9 parts lasting 28:22 in total. Their length is certainly no accident, being indicative of the conceptual and emotional material with which they are wrestling. Yet they also reveal two further and quite crucial elements of the album. The first is that in order to do full justice to this material, all the songs have a varied multi-part structure. 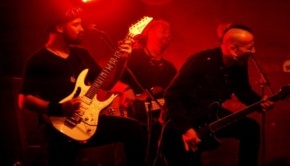 Hold, for example, begins with a strong hard rock guitar driven introduction which is stark, powerful and menacing; yet that in turn dissipates into a charming harmonic chorus forming a relaxed and calm plateau, reminiscent almost of a love song. Yet that in turn falls away into a discordant and technically brilliant complex interlude reflecting, perhaps, the confusion of emotions, distress, angst, but not before the simulated sound of ticking of clocks (returning again to time) segues to a more peaceful refrain of the now triumphant chorus before moving forward to an ominous and troubled conclusion. This is music which is always ‘on the way’, starting from and moving to different points of a journey, calling at all sorts of intricate stopping points along the way. How Long, to give another example, opens with Lopresto giving the most delicious lingering guitar solo which then gives way, like the sun rising above storm clouds, to a light, reedy passage, the drums then kicking in to signal a move to the next phase; along the way we are treated to a Mediterranean dance-style passage of exquisite individual musicianship before rallying at the end to a magnificent symphonic crescendo. Indeed, all the tracks are built around complex structures which organically emerge one within the other and in the process reveal the second significant element of the album. 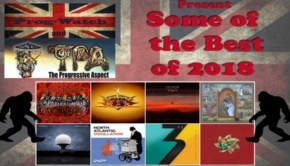 None of this would be possible without the technical brilliance and exceptional virtuosity of the band who create the rich embracing sound stages and paint the engaging musical landscapes within which it all makes sense and becomes possible. The magnificent bass work of Jez Martin lays the foundations and paves the way for what happens in each song. His complex, intricate bass lines are a delight and the mix does full justice in allowing them to be easily discernible. Sean Timms builds ever enveloping layers of keyboard melodies which create an engrossing atmosphere against which the others can shine, whilst also contributing breath-taking solos and occasional flourishes that are completely stunning. Lopresto supplements and enhances this atmosphere with a skilful finesse on electric and acoustic guitar which rounds out the sound with a spacious fullness. Cam Blokland brings a seemingly effortless musical elegance and passionate virtuosity on guitar, weaving inspired vistas around the playing of the others and in the process bringing a fluid and mesmerising passion which lifts the guitar voice to inspiring heights. Look, in particular, for the amazing call-and-response interaction with Timms on Forest Fire. Brody Green on drums (and vocals, some keyboards and the odd bit of guitar!) is the dynamo which breathes character and momentum into the album; rarely do you see drumming executed with spirit, grace and deftness of touch but each successive listen reveals the accomplished and delicately formed layers he brings to each piece. The CD comes with a DVD containing 4 tracks – Forest Fire, Hold, How Long and The Bridge That Binds. Although the navigation menu leaves a lot to be desired, it is fascinating to see the band recording and performing together, clearly responsive to what each other are doing, comfortable in each other’s presence and above all having fun with the music they are playing. 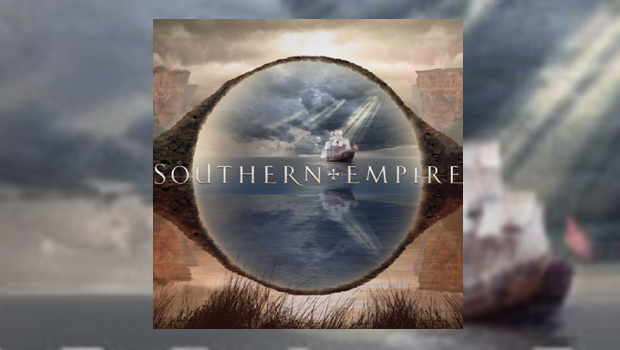 Southern Empire have created an album which is thoroughly deserving of high praise. The musicianship is rigorous, controlled and precise. The music is spirited and edgy, brimming with vitality and purpose. 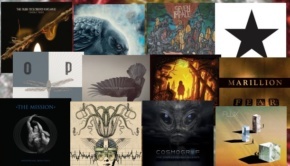 This is a significant album from a new band creating progressive music which is psychologically perceptive, emotionally insightful and alive with melodic creativity. It is a glorious achievement and one which I highly recommend.